By Kathy Voth / March 19, 2018 / Comments Off on When Can I Start Grazing Mixtures? Thanks to Tim Fritz, of King’s AgriSeeds Inc. for this helpful information. Mixtures bring yield stability to a forage field as each species and variety has its own strengths and weaknesses. These factors include: soil adaption, climate adaptation, disease resistance, harvest timing, yield distribution over the seasons, nutrient needs and contributions to soil health, and of course nutrition and fiber for the livestock. So, when is the proper time to graze? The first two factors to consider are: a) is the sward mature enough? And b) are the soil conditions appropriate to put the animals on the paddock without causing plant and soil damage? For newly established swards, this is critical. For these newly seeded fields, I suggest doing a “yank test” before turning animals into the paddock. A “yank test” is using your hand to mimic your livestock grazing. In the case of a cow, her tongue wraps around the forage and pulls it into her mouth quickly. In this case a yank test is a quick grab of the forage with your hand. 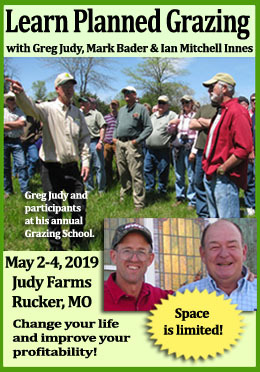 If yanking a handful pulls the forage out of the soil by the roots, then the new seeding is not ready for grazing, as the livestock would do severe damage to your newly seeded pasture. It is better to feed hay or graze elsewhere until the paddock is more mature or the soil is drier. For established pastures, height, density, species in the sward and animal species are other factors to consider. I strongly recommend taller grazing. In rotational systems, mimic a very aggressive hay harvest schedule while leaving four or more inches of residual. 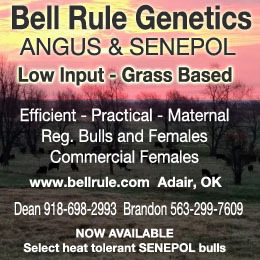 Performance of both the sward and livestock will be strong with taller management. Unfortunately, far too many pastures are simply too short virtually all the time. Short pastures reduce pasture yield dramatically by limiting the plants’ ability to collect sunlight and to grow strong roots. Both sunlight interception and water are essential for photosynthesis, which is the backbone for plant production. 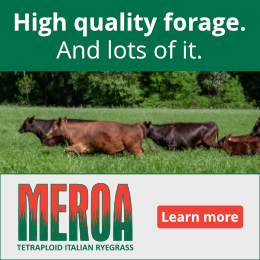 Short pastures are also excessively high in protein and lack effective fiber. These two factors combined will cause low animal performance for most classes of livestock.